Low time 81 F Model, Only 4000TT 224/224Since Factory Remans, Garmin and Aspen Panel, King KFC-200 AP/FD, Long Range Fuel, Digital Engine Monitor, This is the LAST YEAR of production of the Aztec only 13 SN where manufactured. 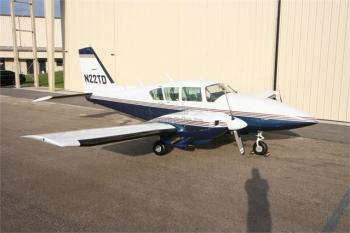 It represents an outstanding value for a Piper heavy lift twin with serious range. Airframe: ONLY 4051 Total Time Since NEW Engine(s): 224/224 Since Factory Reman on bot......more. Outstanding Piper Aztec!!! Low Time 4365TT 722/858 SMOH (2000TBO), Aspen Pro 1000 PFD with Synthetic Vision, Garmin WAAS, MX200 Map, Dual GS, HSI, GPSS Roll Steering, Garmin Transponder, Custom Paint, Full K-Ice Package, (NEW BOOTS 19) Factory O2, Outstanding Value for this well cared for Aztec. 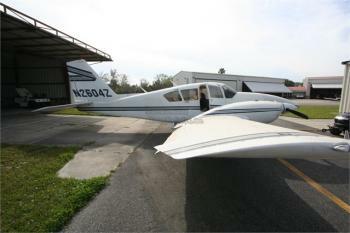 Owner will Consider Trades Make offer Airframe: Only 4389 Total Time Since NEW Engine(s): Engine 1 ......more.